The junior is a big reason the Timberwolves are 21-1 and headed to state as she’s been a force on the mound and at the plate. She’s the Star Times softball player of the year. After a sizzling freshman season, Iyanla Pennington began to melt under pressure. And that was totally out of character for a player nicknamed “Ice” since grade school. Pennington is back to her cool, calm, collected self — in the circle and at the plate — in leading Jackson High School to another Class 4A state softball tournament appearance, and a key reason the Timberwolves (21-1) have a chance to win it all. Sara Johnson Lake Stevens, P, Sr.
A two-time Star Times selection, Johnson took the Vikings to the brink of a state berth by going 14-3 with a 1.32 ERA and 176 K’s in 1022/3 innings. The Towson signee also batted .490 with 17 extra-base knocks. Rachael Rhinehart Woodinville, P, Jr.
After waiting in the wings, Rhinehart took advantage of her time to shine by leading the Falcons to another KingCo 4A championship, going 14-1 with a 1.68 ERA. She batted .476 with 18 RBI and .623 on-base percentage. Jennifer Cummings Redmond, C, So. Cummings, who already has committed to Washington, helped the Mustangs win last year’s Class 3A state title and has been on a tear this spring with a .615 batting average, 1.327 slugging percentage, OPS of 2.049 and 48 RBI. Emma Bickford Eastlake, INF, Sr.
Santa Clara signee led KingCo 4A with 24 RBI while batting .471 with 12 extra-base hits, committing just one error at shortstop. Bickford has been instrumental to the Wolves’ run to the Class 4A state tournament. Kaia Simpson Garfield, INF, Jr.
Simpson was voted Metro League MVP and has the 23-2 Bulldogs back in the Class 3A state tournament while batting .519 with 49 runs scored, 31 RBI and 19 extra-base hits. The UC San Diego commit is 13-2 in the circle with a 1.39 ERA. Nicola Simpson Garfield, INF, Fr. Simpson, who rotates at first base and pitcher with sister Kaia, has driven in an eye-popping 56 runs in 25 games, batting .620 with 14 extra-base hits. She is 10-0 as a pitcher with a 0.58 ERA and 150 K’s in 611/3 innings. Charity Sevaaetasi Auburn, INF, So. Sevaaetasi split time at catcher and third base for the Trojans and was voted MVP of the NPSL Cascade Division after batting .556 with a league-best 1.306 slugging percentage that included seven home runs. She matched 20 runs scored with 20 RBI. Sami Reynolds Snohomish, OF, Sr. The UW signee is fearless, has burning speed and great instincts. She was a key to the Panthers’ run to the District 3A championship and is batting .485 with 36 runs scored, 21 RBI and 12 walks against just two strikeouts. Danika Dennis Tahoma, OF, Sr.
Dennis, who also spends time in the circle and was the NPSL Cascade Division’s MVP pitcher, helped the Bears go 14-0 in league play, batting .519 while picking up five wins and fashioning a 1.48 ERA. 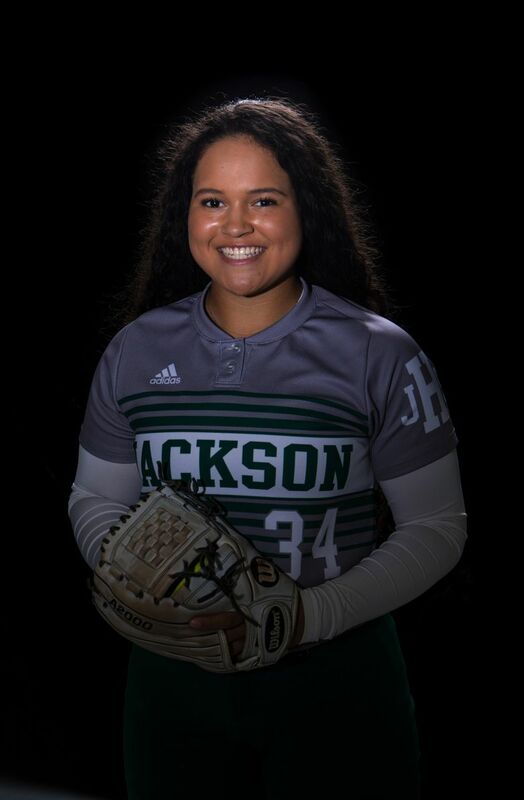 Kiki Milloy Redmond, OF, Jr.
Another returning Star Times choice, Milloy (a Tennessee commit) is key to Redmond’s repeat state-title hopes with a .676 batting average, 1.426 slugging percentage, 2.187 OPS and 38 RBI. As a pitcher she’s 14-0 with a 0.98 ERA and 140 K’s in 86 innings. Tatiana Leahy Kennedy Catholic, Utl, Jr.
Leahy, who primarily catches but also played some at second and third, led the entire NPSL with a blistering .714 batting average, scoring 28 runs and driving in 24. Voted MVP of the Cascade Division with a 1.238 slugging percentage. Mitchell guided the Mustangs to the Class 3A state championship in her first season as head coach last spring and has them back in the tournament again at 23-1. She was Redmond’s assistant coach for four seasons before taking over. The hard-throwing, harder-hitting junior sports an 18-1 record, 0.28 ERA and 235 strikeouts in 113 1/3 innings — including 29 in her past two games — while batting .548 with 16 extra-base hits and 26 RBI. Pennington’s performance has earned her honors as The Seattle Times 2018 Star Times softball player of the year. Truth be known, Iyanla (pronounced I-YAWN-la, after inspirational speaker/lawyer/author Iyanla Vanzant) first got the nickname playing Little League, when she told teammates on a hot day she was bringing ice for the next practice. 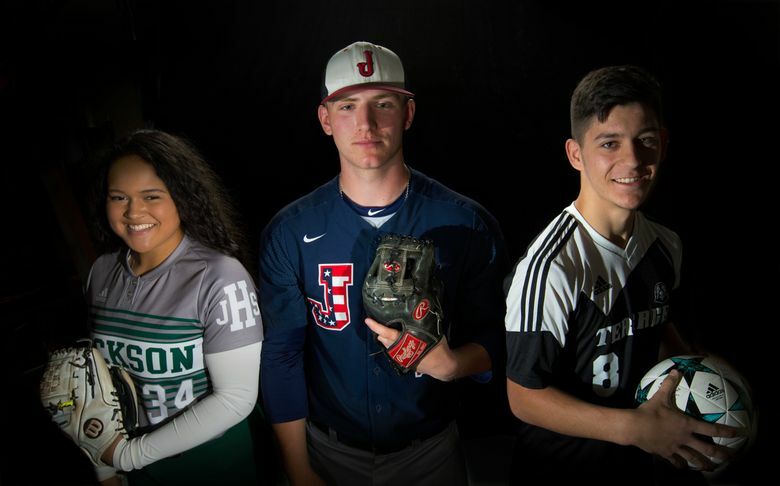 She especially lived up to it at the plate as a freshman, when she was mostly Jackson’s designated player with Sophie Frost (now at Cal State Fullerton) handling the bulk of the pitching. Pennington popped eight home runs and led the team in RBI with 31 as the Timberwolves placed fourth at state. The power surge seemed unplugged for most of last season, with just three home runs and 29 RBI, and she struggled early on — although by the end of the year she was batting .463 — 100 points better than her freshman average. Thus the even higher average, and the RBI total likely would inflate if not for her 18 walks, many of them intentional. Pennington, who has committed to play softball for Coastal Carolina University in South Carolina, has been steadier in the circle, too, after going 18-5 last season with a 1.50 ERA and 190 K’s in 121 innings. Catcher Sam Mutolo gets some credit for that. “She is doing way better handling stressful situations with runners on and just calms down and executes very well,” Mutolo said, calling Pennington a great team leader. Pennington’s one loss this season came against Lake Stevens, 3-1 — a team the Timberwolves had earlier beaten 2-1 — and cost them sole possession of the WesCo 4A championship. Emma Forney’s two-run, walkoff homer stung, and Jackson responded by outscoring the next five opponents 46-3. Ever the perfectionist, she stops short of saying she’s peaking at the right time. Good and hungry. Last year’s 1-2 performance at state left a bad taste for the entire team, with all but two starters returning.